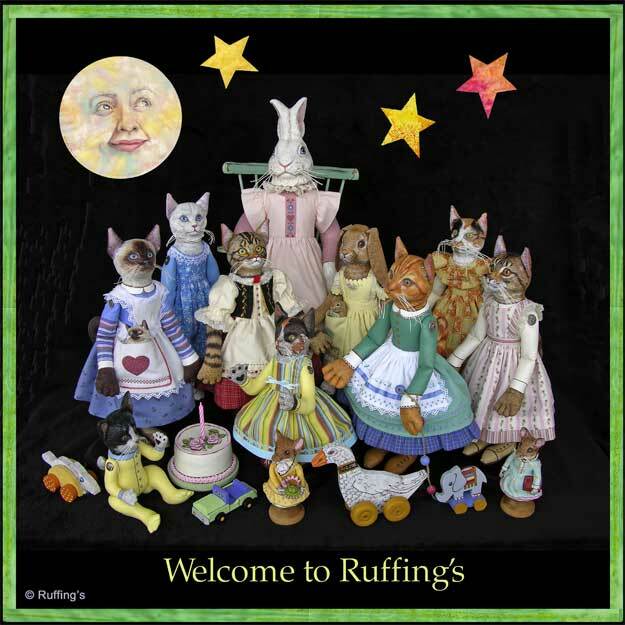 We set up a brand new fan page for Ruffing’s over on Facebook. We’re posting photos of art from each of us, and Elizabeth Ruffing’s videos, and anything new that comes up. Please “become a fan” if you are over that way. To those of you who already became a fan, thanks very much! Elizabeth is also having a giveaway draw this week, to celebrate her 300th blog post, her 3 year blogging anniversary, and Valentine’s Day too. Please visit this blog post for information on how to entering the draw for “Valentino the Hug Me! 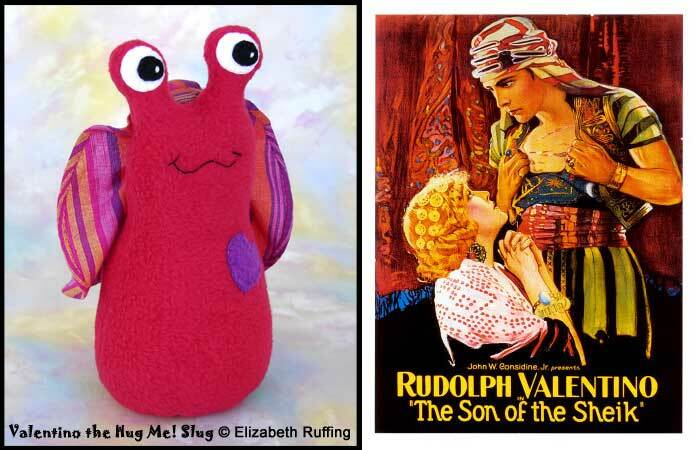 Slug”, an original, one-of-a-kind art toy by Elizabeth.